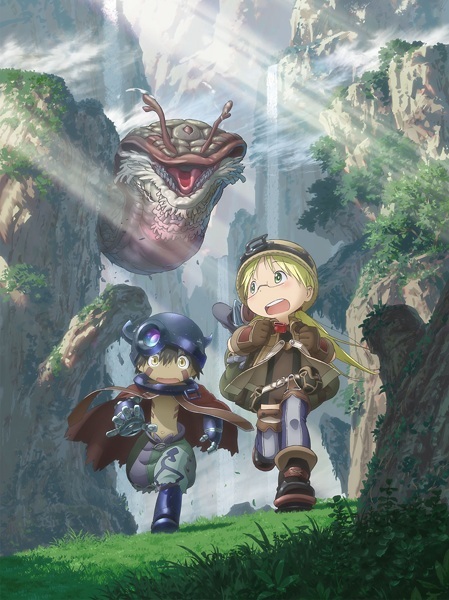 HOUSTON, TX November 16, 2018 – Sentai Filmworks announced today that it acquired exclusive distribution rights to the highly anticipated films based on the critically-acclaimed franchise, MADE IN ABYSS. In 2017, the television series took audiences by surprise and garnered ecstatic reviews with its disarming facade that shrouded a dark masterpiece. Now, the timeless story will be presented in theaters and told across two compendium films, Journey’s Dawn and Wandering Twilight, drawn from the original series together with newly added scenes and storytelling. The enigmatic Abyss entices those with the spirit of exploration, despite the dangers. Wishing to follow in her mother’s footsteps, Riko trains hard to become a Cave Raider. One day, she receives news that her mother died in the Abyss, yet a mysterious note tells Riko that her mother may still be alive. Vowing to uncover the truth about her mother’s fate, Riko embarks on a journey with a humanoid robot boy name Reg. Together, they will discover if they have what it takes to survive where so many others have perished. Journey’s Dawn and Wandering Twilight will be available in Japanese with English subtitles along with an English dub in the US and select international markets. For more information including release dates, engagement locations, and booking, visit https://www.sentaifilmworks.com/theatrical-releases. Following their theatrical release windows, the films will be available via pay per view, TVOD, paid streaming (select digital outlets) and home video.